Rabbi Mordechai Becher, originally from Australia, an instructor at the James Striar School of Yeshiva University and a senior lecturer for the Gateways Organization. Rabbi Becher received his ordination from the Chief Rabbinate of Israel. He taught at Ohr Somayach, Neve Yerushalayim and Darchei Binah in Jerusalem for 15 years, served in the Israel Defence Forces and taught in a number of Rabbinic training programs. His latest book, Gateway to Judaism, published by Shaar Press, is now in its sixth printing. 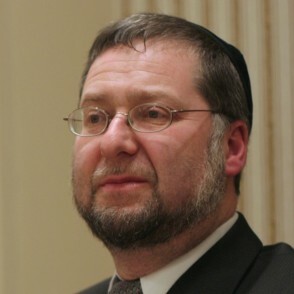 Rabbi Becher has lectured for the UJA, Jewish Federations, the Zionist Organization of America, Hillel and is on the speakers’ bureau of the Israeli Consulate in New York. Rabbi Becher has answered thousands of questions on the Ask-the-Rabbi website, and has taught in Canada, the United States, England, Israel, South Africa, Australia and Russia. “An Eye For An Eye”: What Does it Really Mean? Occupied or Liberated: Whose Land Is It Anyway? The Sabbath : Who Invented the Weekend Anyway? Exile of the Body, Exile of the Soul: The Exodus as a Metaphor. Freewill and Conditioning: A Delicate Balance.